The Fitness Mad pro hand weights are designed to help you tone the arms and gain more strength. They have a steel handle covered with non-slip NBR foam and weigh 0.75kg (1.6lbs). 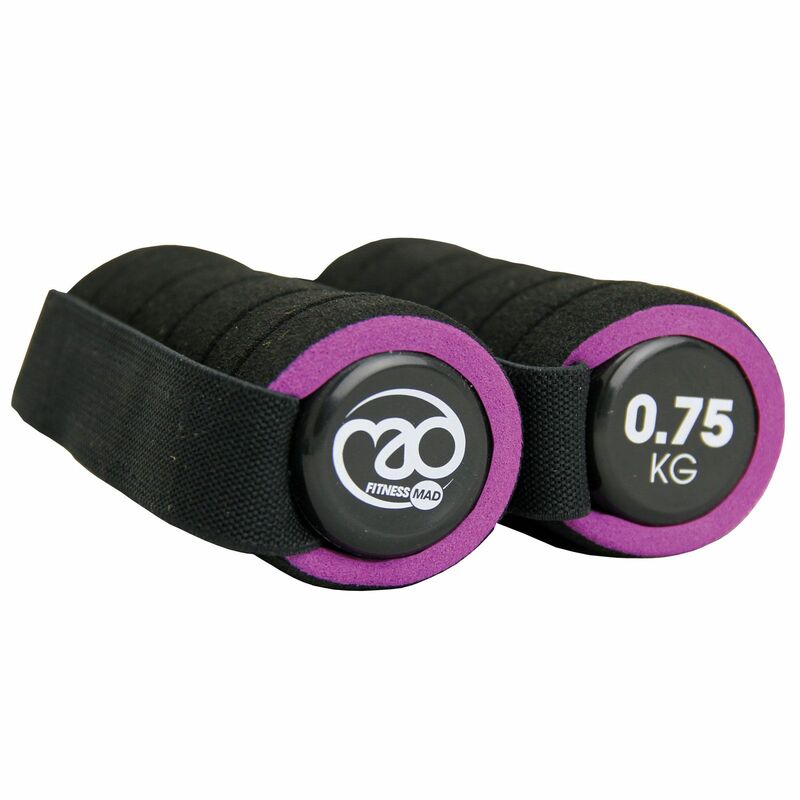 The weights increase workout intensity and are comfortable to hold thanks to the elasticated safety strap. They come in a black/purple colour and are supplied as a pair. for submitting product review about Fitness Mad 0.75kg Pro Hand Weights.